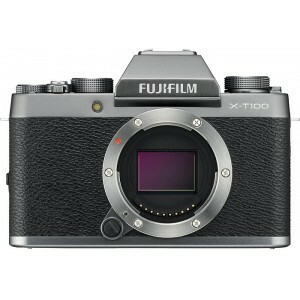 Fujifilm X-T100 has a Fujifilm X lens mount and currently there are 49 native lenses available for this mount. Fujifilm X-T100 doesn't have a sensor based image stabilization system but 9 of these lenses already comes with optical image stabilization. Since Fujifilm X-T100 has a APS-C sensor, it has a focal length multiplier of 1.5x so you have to multiply lenses original focal length with this multiplier to find the Full Frame equivalent focal length of the lens when mounted on X-T100.